One of Italy's greatest sons, Alessandro Del Piero's career lasted 23 years and spanned over three continents. Born in Congliano, Del Piero left home at 13 to sign for Padova and made his first senior appearance at the age of 16 whilst still playing youth team football, and first appeared in Serie B a year later. It was at that age he scored his first goal in a 5-0 victory over Messina and was shortly scouted and signed by Italian giants Juventus. 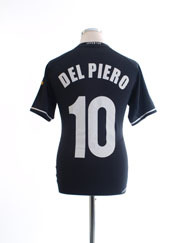 With the 'Old Lady' Del Piero would become a fan favourite, a legend at one of the world's biggest clubs. Having joined in 1993 and made his debut in September of that year as a substitute against Foggia. 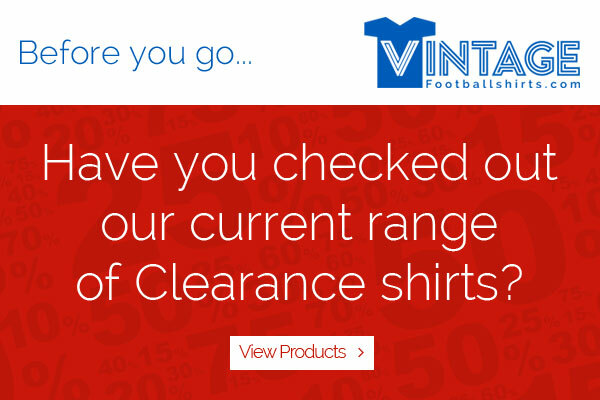 This was the beginning of a 19 year stint in black and white where he would make over 700 appearances. His goal scoring prowess was what drew him to fame, grabbing 290 just with the Turisian side. He netted five times in 11 games during his first season, and would score a further eight during the next campaign helping his side to the Serie A title at the age of 20, the first of six during his career. By the time he was 24 Del Piero had already won three league titles fending off some of the best in Europe with Italian football at it's peak, he'd won four Suppercoppa de Italia's and got his hands on European glory. Having lost out in the 1995 UEFA Cup losing out in the final to Parma in an all Italian final, they would go on to reach the UEFA Champions League Final in 1996 where they met Ajax in Rome. Del Piero was the joint second highest scorer of the competition with six but failed to score in the final which ended 1-1, during the shoot-out La Madama held their nerve. With already a hugely decorated career, by the time the 21st century rolled by a 26 year old Del Piero had already picked up ten club honours, and been selected by the Italian national team 27 times, playing a part of Euro 96 and the 1998 World Cup. 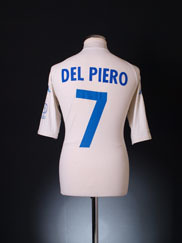 During the new Millenium Del Piero would gather another four league titles, the last in the Italian top flight coming in a hugely turbulant 2006. Having bagged the Serie A honours, it was now time to travel to the World Cup in Germany. Having cruised through the group the Italians beat Australia and Ukraine on route before facing the hosts in the Semi-Final. With the scores level at 0-0 it went to extra-time and with a minute to spare Fabio Grosso scored to take the lead, before in stoppage time Del Piero booked their place in the final. They faced France in a match made famous by the headbutt of Zinedine Zidane, Del Piero came on a substitute late on and would play throughout extra-time with the game ending 1-1. It eventually went to a shoot-out which Del Piero would step up and score for as the World Cup title was added to his impressive trophy cabinet. But 2006 also saw Italian football in scandel with bribary of officials, Juventus were a huge part of this and as such demoted to Serie B and stripped of the previous seasons honours. Del Piero remained with the side in the second tier, winning it and gaining promotion back. Eventually Del Piero would depart the club in 2012 moving on to Australia to play for Sydney FC and ended his career with ten games in the Indian Premier League for Delhi Dynamos.